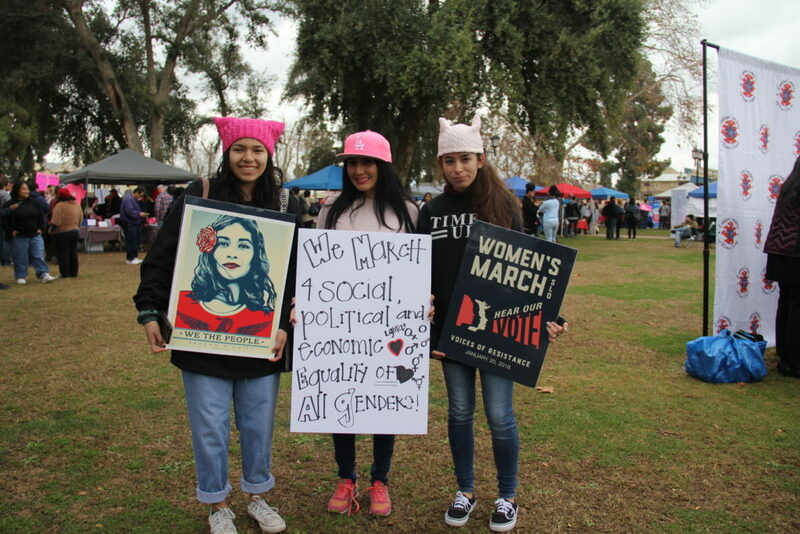 Almost 2,000 people gathered at Central Park at Mill Creek to support the cause, browse through vendors, enjoy some food, and listen to inspiring stories from Kern County women. 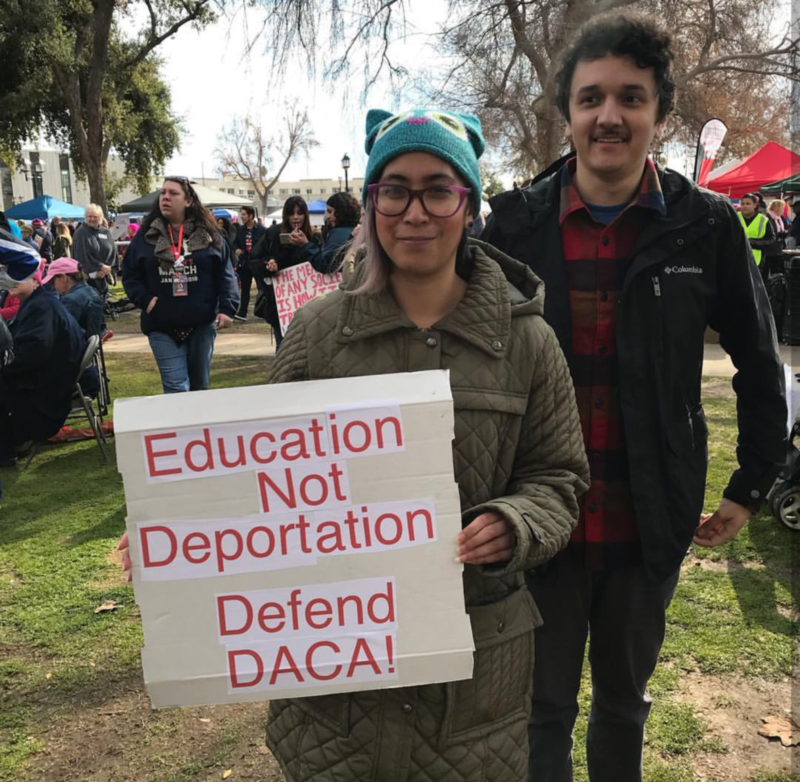 The march — which was part of a national day of demonstrations — was organized to promote equality for all, not only for women, but also immigrants, members of the LGBTQ community, and any other discriminated-against minority group. About 50 speakers shared their stories throughout the five-hour-long event. The thrust of the event? 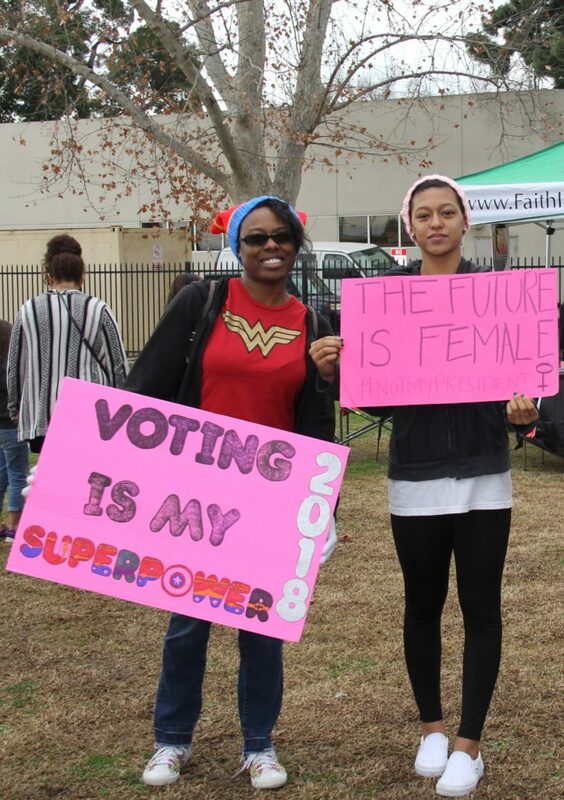 Motivating people to take action, vote and fight for their success. One of the first speakers to take the stage was Maria Caballero, an aerospace engineer for NASA and former Wasco resident. Caballero shared her experience as a Mexican female living in a “machista” (or male chauvinistic) society to inspire women — especially those who are younger — to pursue their dreams. 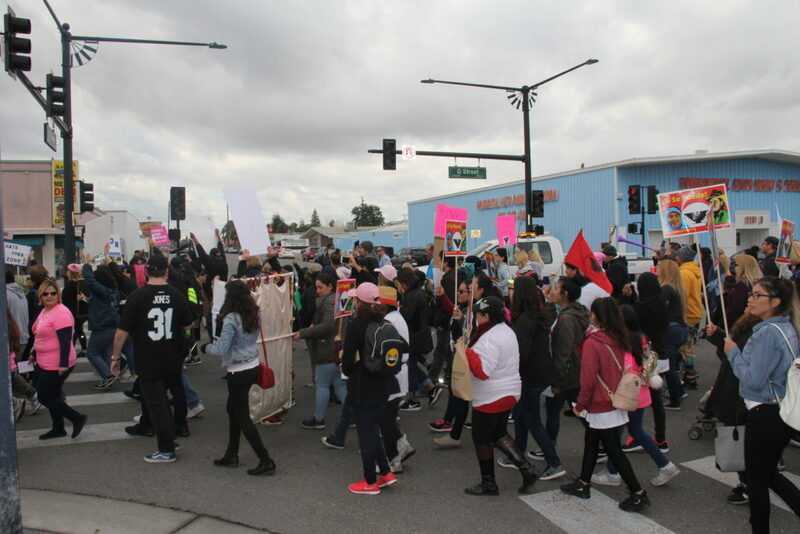 As noon approached, demonstrators began marching. 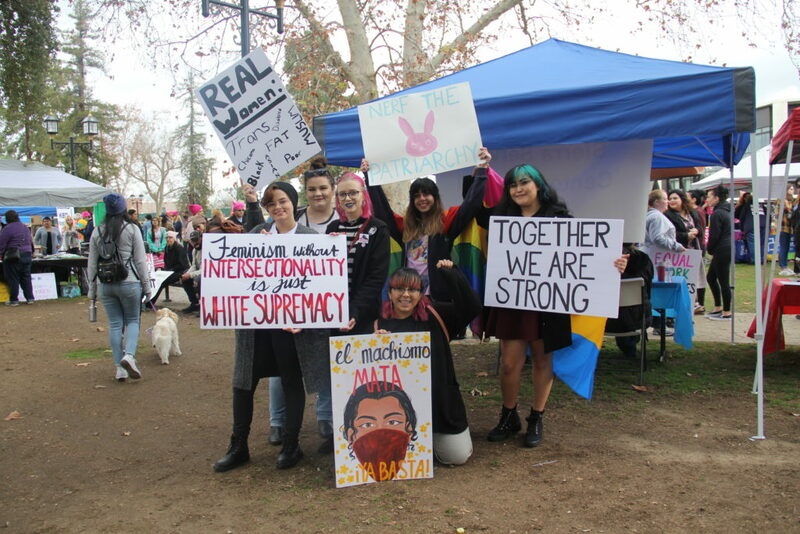 The march was organized by a group of local women who wanted to bring this global movement closer for Kern County residents. 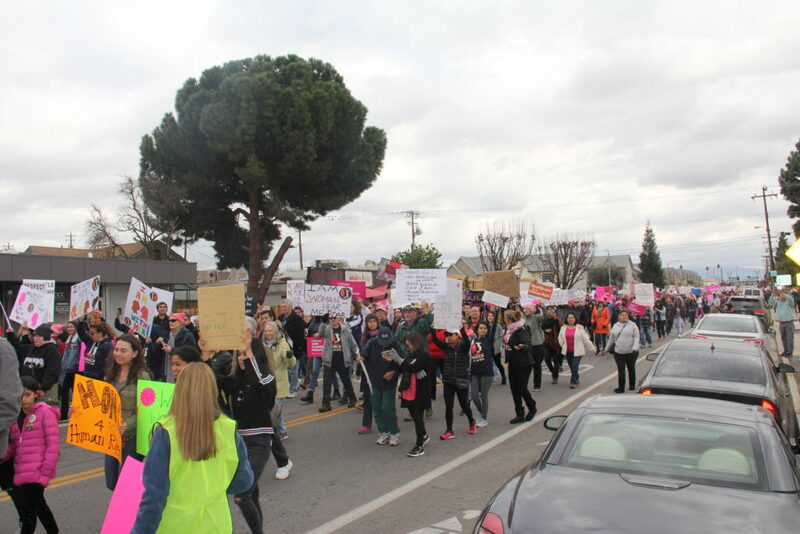 Last year, when the Women’s March movement started, those women organized transporting Kern County residents to Los Angeles via bus. “Instead of sending more buses to LA … they [community members] encouraged us to have one here in Kern County ourselves,” said Nix. They took up the challenge, and were ultimately successful. 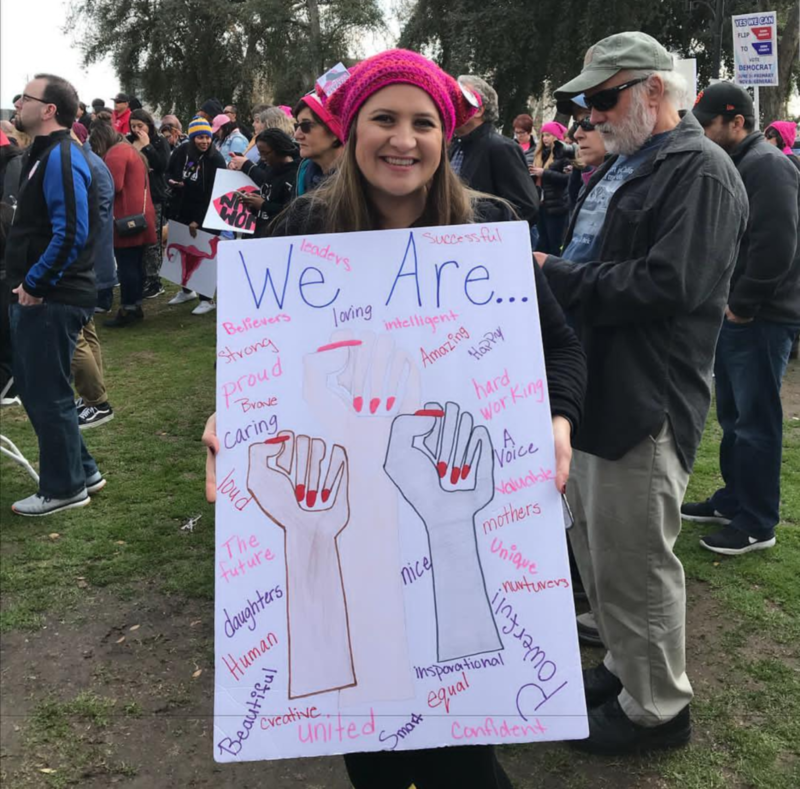 Jessica and her team still don’t know if they will be making a second march next year, but said they’re very grateful for this year’s response.